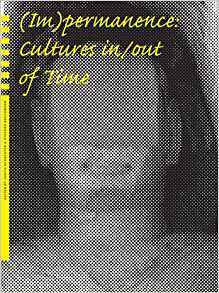 (Im)permanence: Cultures in/out of Time explores the interplay between permanence and impermanence in cultural and artistic practices in the west and throughout the world. The volume engenders questions about the changing meanings of permanence and impermanence in art, the ethics and modes of preserving ephemeral artwork, notions of time and endurance as understood in Western, East Asian, and American Indian cultures, and the impact of international policies on commemorative art. (Im)permanence addresses particularly crucial artists, including Robert Smithson and Andy Goldsworthy, as well as a wide variety of historical epochs and cultures, from the destroyed Buddhas at Bamiyan through attempts at preservation and commemoration in the wake of historical catastrophes like 9/11 and the genocide in Cambodia. Decisions regarding particular works are seen in the perspective of globalization, an international art market, and competing interpretations of collective memory.